Moscato madness keeps bubbling across the country. U.S. sales of Moscato tallied 73% growth in 2011, following a year that saw Moscato sales double. Moscato mania is still going strong deep into 2012 with no sign of letting up. The peachy pleasure has reportedly nudged past Sauvignon Blanc to nail a top spot in the white wine triumvirate, alongside big daddies Chardonnay and Pinot Grigio. Millennials who have embraced Moscato may not know or care that Muscat, perhaps the world's original wine grape, has a long lifeline that tracks from ancient Greece to the far reaches of the Mediterranean, courtesy of the Romans. What they do know is that it's hip, fun, tasty – and affordable. It's also sweet, if you like it that way. Moscato can also be barely fizzy, frothy, or not. Muscat-teers can choose from pink, bubbly, still, dry or dessert versions. Also popular are blends that combine Muscat with other white wines, as in Conundrum from Caymus' Wagner family, or Big House White, a fun and summery blend available in a fancy yet cool-looking Octavin winebox that holds three liters. Mixologists are also getting into the act with cocktails and sangrias that take Moscato beyond a hood beverage. With Moscato, what's not to like? Whether you prefer a Moscato that's still or bubbly, dry or sweet, you get perfumed pleasure with medium-bodied bursts of peach, mango and tropical fruit flavors. Its distinctive aromas are grapey with scents of honeysuckle and white flowers. On the palate, Moscato cleanses and refreshes with enough acidity and punch to hold your attention beyond the first sips. Bargain hunters have a choice among big brands such as Yellow Tail, Sutter Home and Barefoot Cellars by Gallo that have stormed the market and are easy to find. 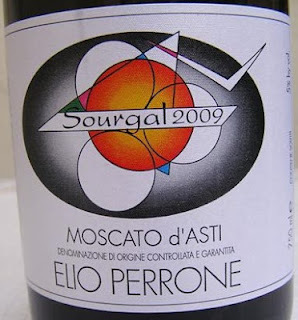 Spend a little more to sample the elegant offerings below in a range of Moscato styles. Regardless of style, Moscato newbies and long-time fans can agree that it only takes a sip to be seduced by Moscato magic. If you're interested to taste and learn more about other hot wine categories, catch some summer madness with us at 5 PM on Sunday, July 29 at Cooking with Class in La Quinta when our monthly Wine Essentials tasting class will focus on wine trends from around the Americas and the world. Sign up today, and check the Cooking with Class calendar for new wine topics and more exciting wine-food events coming at the cooking school this fall.